Periyar University PG Admissions 2019 - Periyar University has published official notification for eligible candidates for admission into the following Post Graduate Programs at PG Extension Centre, Dharmapuri of the academic year 2019-20. Candidates who are eligible can fill their Application Form before the last date. Are you interested in pursuing Mass Communication course? then, Check out here career scope, eligibility for Mass Communication, top colleges and the Job prospects. 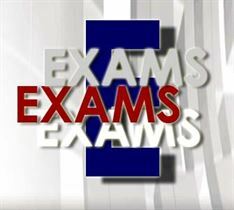 Mass Communication and Journalism Entrance Exams. All over the country the best institutions of Mass Communication and Media conduct entrance exams to study in UG and PG level. Here are the top Mass Communication colleges of India. Check out the names of top 10 mass communication colleges in India in the list provided. 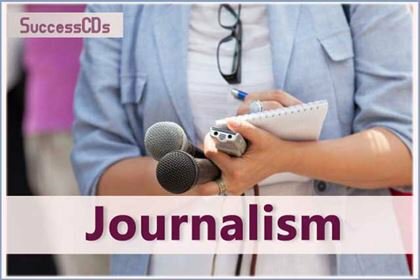 AP College Hyderabad Journalism Courses Admission 2019 – Admissions into the journalism courses offered by A.P. College of Journalism for the academic year 2019. Applications are invited by Directorate of Distance Education of Guru Jambheshwar University of Science and Technology, Hisar for admission to the following Distance Learning Programs for the session 2019. Mudra Institute of Communications (MIC), Ahmedabad invites applications for admissions to Post Graduate Diploma in Management - Communications (PGDM-C) for the academic year 2019. Amrita University Journalism and Mass Communication Admissions 2019 - Amrita Vishwa Vidyapeetham also know as Amrita University invites applications for admission to Bachelor of Arts (BA), Master of Arts (MA) in Communication and Post Graduate Diploma in Journalism and PhD Programs in Communication in the Department of Communication for the session 2019-20. MASCOM PG Diploma in Journalism Admission 2019 - MASCOM (Manorama School of Communication) invites applications for the one-year Postgraduate Diploma Course in Print Journalism and Post Graduate Diploma in Broadcast Journalism for academic 2019 session. Asian college of Journalism PG Diploma Admission 2019 - Asian College of Journalism (ACJ), Chennai invites application for admission to its two Postgraduate Diploma Programs for the academic year 2019-20. 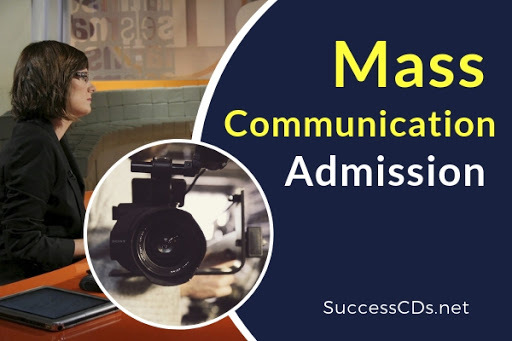 Symbiosis SIMC MA Mass Communication Admission 2019 – Symbiosis Institute of Media & Communication (SIMC), Pune has announced SIMC MA (Mass Communication) Entrance Test for admission into its Masters in Arts MA (Mass Communication) Course for the academic year 2019-21. Xavier University MA Mass Communication Admission 2019 - Xavier University Bhubaneswar (XUB) invites applications for admission to Master Program in Mass Communication (MA-MC) offered in Xavier School of Communications (XCOMM) Xavier University Bhubaneswar (XUB) for the academic session 2019. SNDT Women’s University Distance Education PG Diploma in Mass Communication 2018 – The Centre for Distance Education, is collaboration with University Department of Extension Education is offering the PGDMC in blended mode from the academic year 2018-19. Jadavpur University MA Admission 2018 – Jadavpur University, Kolkata offers admission for two- year full time M.A. in Journalism and Mass Communication for the session 2018-20 offered by Department of Adult Continuing Education and Extension (DACEE). Sanskriti Prabha Dutt Fellowship 2018 - Sanskriti Foundation invites Women Print Journalist for Prabha Dutt Fellowship 2018. This fellowship will be given every year to investigate and research on any topic of contemporary relevance. Panjab University Admision 2018 - Panjab University invites applications from eligible candidates for admission to various Post Graduate Admission through Panjab University Common Entrance Test (CET) conducted by Panjab University for the academic year 2018-19. University of Calcutta (CU), Kolkata invites applications for admission to Doctor of Philosophy (PhD) Program in Journalism and Mass Communication for the academic session 2018. Symbiosis School of Media and Communication, Bengaluru announces admission for MBA Program 2018. Only those candidates who have registered and paid for 'SNAP ' is eligible for institute registration process. IIMC PG Diploma Entrance Exam 2018 - Indian Institute of Mass Communication (IIMC) invites applications for IIMC Entrance Exam 2018 for admission into its Post Graduate Diploma Courses for the academic year 2018-19. Indian Institute of Journalism and New Media (IIJNM) Bangalore invites application for admission to Postgraduate Diploma (PGD) and Diploma for the session 2018. Osmania University Common Entrance Tests (OUCET) are being conducted by Osmania University for admissions into various PG, PG Diploma and 5-Year Integrated Programs offered by Osmania, Telangana, Mahatma Gandhi and Palamuru Universities in their campus, constituent and affiliated colleges for the academic year 2018-19 .